Still loving this kit! Here's the 3rd card in the kit. 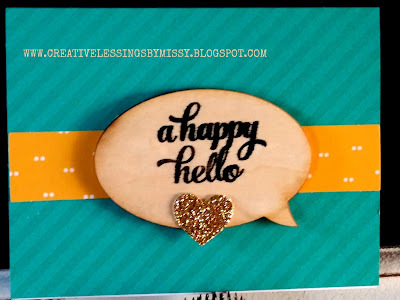 Love the wooden cutout that you can stamp on! If you are looking for quick and easy order this kit today! Card 13 of my 100 day card challenge complete!